NEWS: The latest figures show Europe’s roads continue to get safer though there are still some blackspots. Mercedes ponders free beach camping in Portugal. Dutch truckers look set for their next stage of go-slow motorway strike action. Be sure to stop at zebra crossings in Finland on Wednesday, and the highly controversial fuel price rise goes ahead in Romania tonight. New figures show big gains overall but some serious accident black spots. 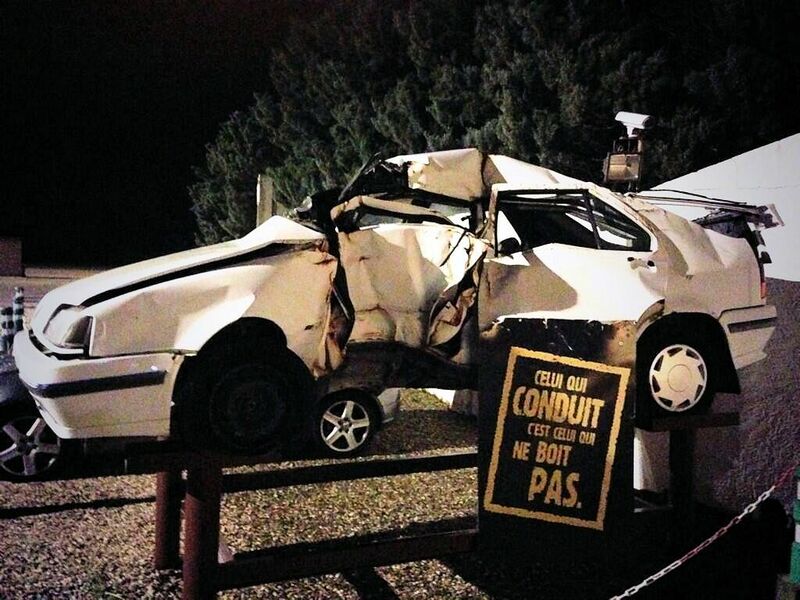 French road safety advert: ‘Celui qui conduit c’est celui qui ne boit pas’ – the one who drives is the one who does not drink. Over 26,000 people died on Europe’s roads in 2013 according to new figures out today. That horrifying death toll is however down 8% on 2012. After a blip in 2011 when deaths fell only 2%, EU countries overall are now back on track to hit the target of halving road deaths by 2020. Overall, the numbers are down 17% since 2010. The average road fatality rate (road deaths per million inhabitants) is 52 across the EU. Sweden comes in first place with rate of 28, narrowly beating the UK on 29 and Denmark at 32. The Netherlands, historically part of the top group, will publish its figures next month. Another country with notably safe roads is Spain on 37. Of the major western European countries, France is at 50, Germany 41 and Italy 58. Much further down is Belgium on 65. In the thick of former eastern bloc countries is Luxembourg at 87. That’s worse than Latvia (86), Lithuania (85) and on a par with Poland (87) which has the – now undeserved – reputation for having the un-safest roads in Europe. The highest death toll is in Romania at 92 road deaths per million inhabitants, the only country over 90. Neighbouring Bulgaria, with newer roads, is at 82. The biggest fall in 2013 compared to the year before came in Slovakia, down 24%. Also notable were Austria (-15%, 54/mil) and Lithuania (-15%). As we have previously reported, the biggest rises – apart from a one-off in Malta – were in Ireland (+19%, 42/mil) and Luxembourg (+32%, 87/mil). See the complete list of safety stats for all EU countries here. 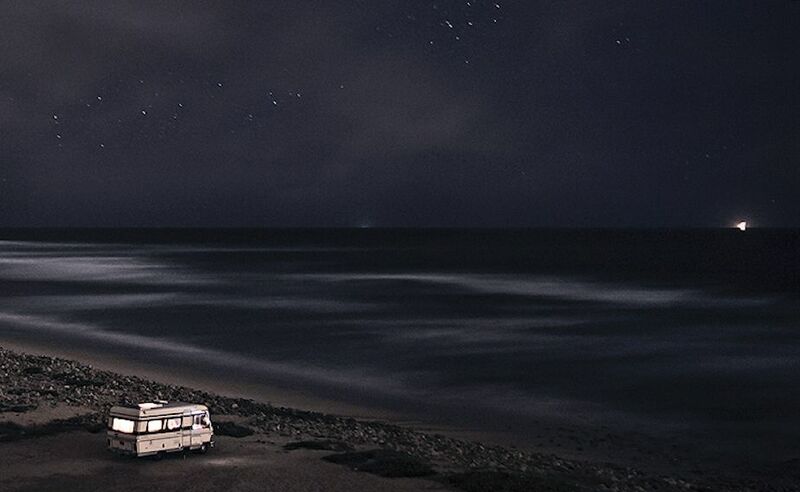 Cascais: ‘Portugal is one of the few places in Europe where you can still stay on the beach overnight,’ photographer Alessandro Puccinelli tells Mercedes for its latest special ‘Ocean Calling: 48 Hours in Lisbon’. roundup: NETHERLANDS. It seems disgruntled truckers start the next stage of their strike action next Monday. Details are not confirmed yet – and will have to be submitted to police – but initial plans are to assemble at many places around the country and converge on a central location. Read the background here. FINLAND. Failing to stop at a zebra crossing this week could cost drivers their licences, particularly on Wednesday – apparently that’s when most accidents occur. Police are on a particular lookout after 1,000 incidents last year. ROMANIA. Fuel prices rise by 7c/l at midnight tonight though hauliers will have 4c rebated after a protest last month. 300,000 regular citizens signed a petition against. The president made a last ditch attempt to have the move cancelled today. The prime minister says the extra revenue will be spent on road building. Unleaded costs €1.297/l today, and €1.313 for diesel.